Your photos are precious to you - which means it is no wonder why you may get panicked or anxious when your photos are missing or have been accidentally deleted by straying fingers. Thankfully there are some ways for you to recover your photos on your iPhone and all without having to break the piggy bank. If you want to know more about the best 6 ways to get JPG recovery from iPhone, consider the following methods. There is no one size fits all solution when it comes to jpg recovery. 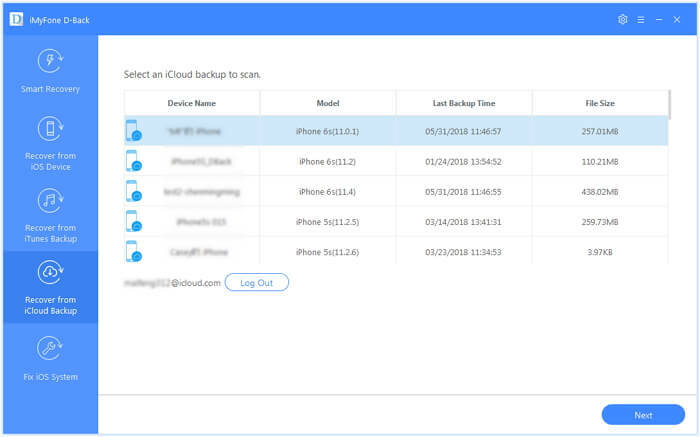 Different methods may be required depending on whether or not the files were deleted recently, whether or not they are still on the iCloud, and so on. Let’s take a closer look at these 6 ways you can do jpg recovery from iPhone. This method works for the iPhone users who don't clean their "Recently Deleted" album often. Because the photos here can only be saved for 30 days. Go to Photos -> Recently Deleted, tap on the picture you need, then click "Recover" to get it back to other albums. You can also select multiple pictures to recover by clicking "Select", tapping on more than one picture, and then click "Recover" and the selected pictures are back. As long as you sync your iPhone with iTunes regularly, there is a large chance that you can recover the deleted jpg photos on your iPhone from your iTunes backup file. Check out the instructions here. Please note that the current data will be overwritten by the backup content. If you want to overcome the shortcomings of this method, keep reading on. 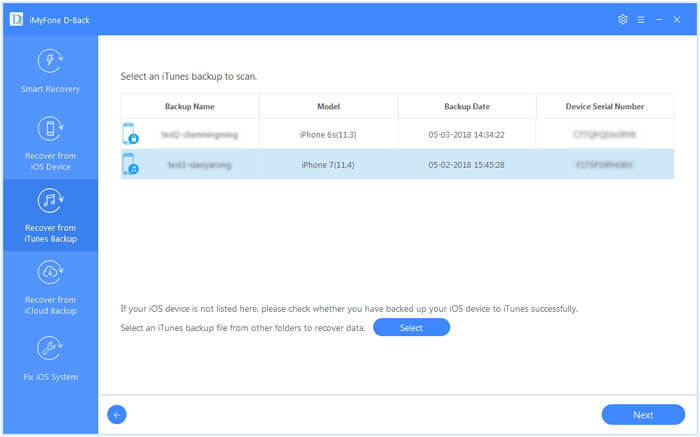 Like the second method, fully restoring iCloud backup is a official way. If you do not mind erasing all contents and settings, you can check the steps here. If you do not want to affect your current data, you will find the alternative way in the following parts. If you are in need of iPhone JPG recovery, you may be wondering: am I completely out of luck? The truth is that there are some ways you can recovery “lost files” even without a backup. The reason why you can access “lost” images on an iPhone is due to the fact that the iPhone saves its data on a SQLite system. This means that when data is deleted from your phone, it doesn’t delete from the entire system; instead, the files collect together in a database of Allocated and Unallocated images and other types of data. 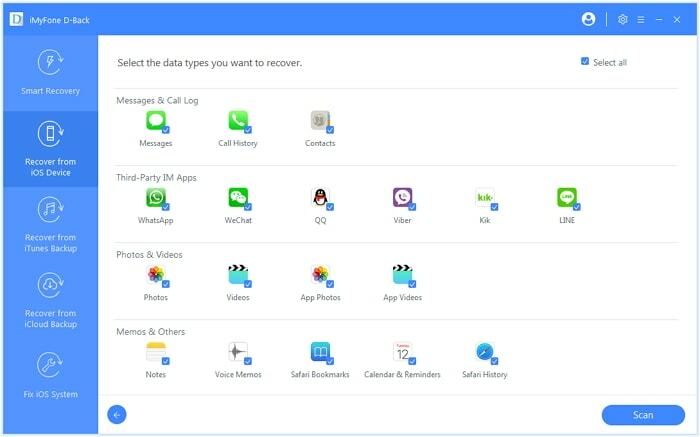 iMyFone D-Back is a data recovery system that is wildly popular due to its ability to recover different types of data in a complete package that is easy to use and understand. If the JPG photos you need recover are on your iPhone, then you can recover them with a few simple steps. Download the free trial version on your computer. Step 1.Run iMyFone D-Back program and connect your iPhone to your computer. Step 2.Follow the onscreen prompts to choose the data types for your needs to start scanning. Step 3.Once the scanning completes, preview and choose what you need to recover. Best of all, iMyFone D-Back is a very great option; you can even check it out with a free trial, which will let you view. Another option for data recovery is the selective iPhone JPG recovery from iTunes backup via D-Back. Step 1. 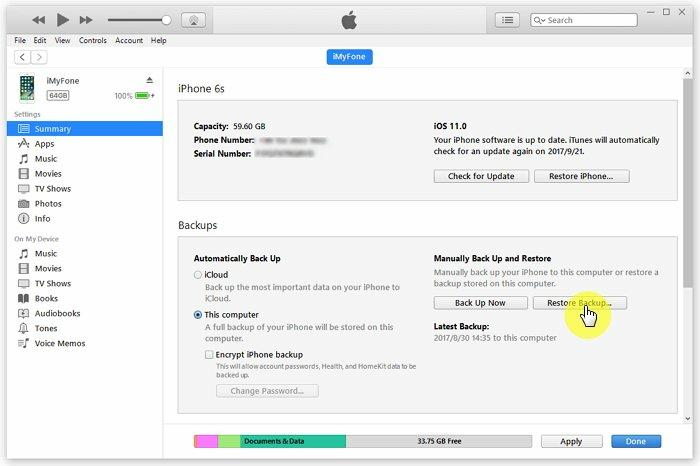 After running D-Back, select "Recover from iTunes Backup" and click "Start" to continue. All the iTunes backup files available on that computer will be listed now. Select the one which may contains the missing jpg photos and click "Next". Step 2. In the next window, select "Photo" and click "Scan" to continue. Step 3. Preview the iTunes backup content and choose the photos you need and then click "Recover". Step 1. 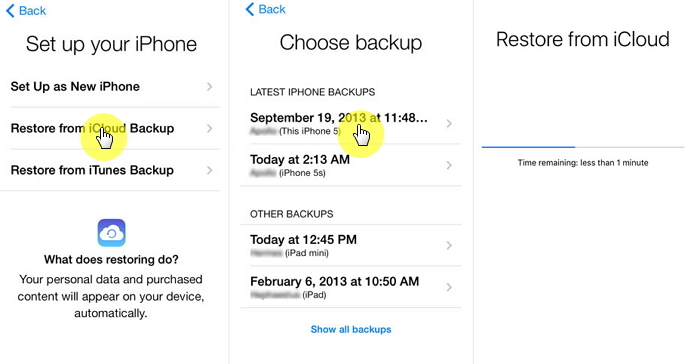 Choose "Recover from iCloud Backup" and then click "Start" to begin. Sign into your iCloud account to allow the program to access the iCloud backup files on your account. Step 2. 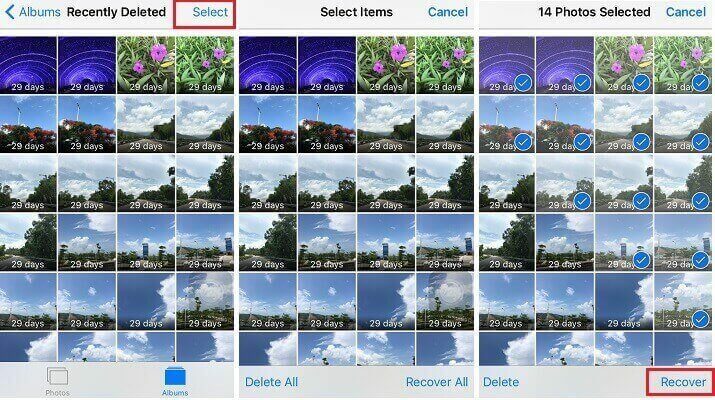 Select the iCloud backup file that may contain the missing photos and then click "Next". Step 3. Then choose the photo data type to scan. Wait for the scanning process to be completed and then preview the results to select the deleted photos. Click "Recover" to save the recovered photos to your computer. iMyFone D-Back is trusted by many professional websites, so you do not need to worry about the authourity. Also many users have sent their feedback on this program to us and here is one of them. 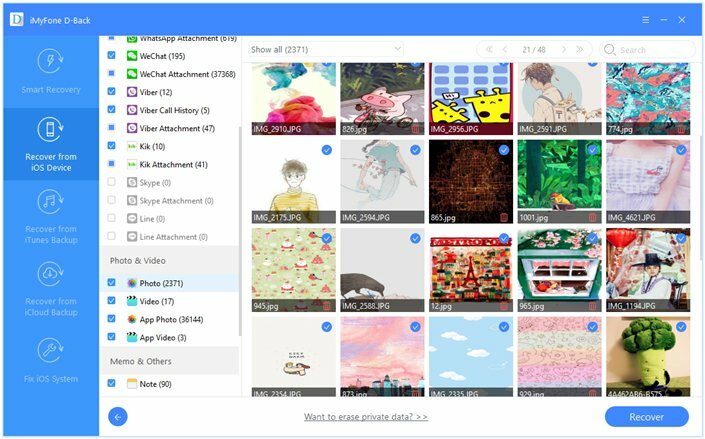 If your photo and other JPG data has been lost, you don’t have to worry. In most circumstances, you can try to recover via a professional program. 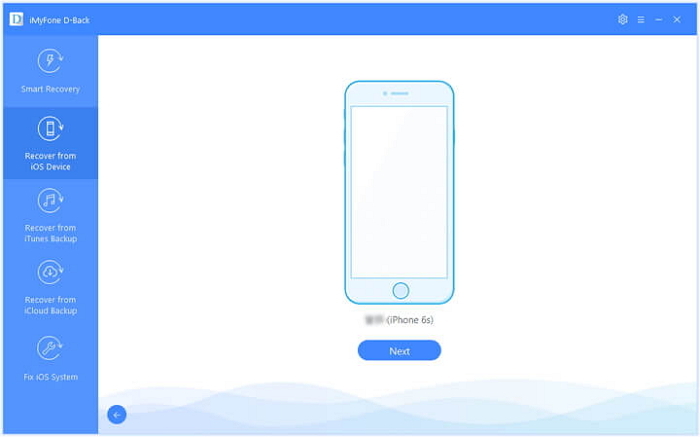 The iMyFone D-Back program is compatible with all iOS devices and iOS versions, so you will be able to recover JPG data no matter what device you use. If you are ready to get back your precious data, don’t hesitate; hop onto a free trial run today!